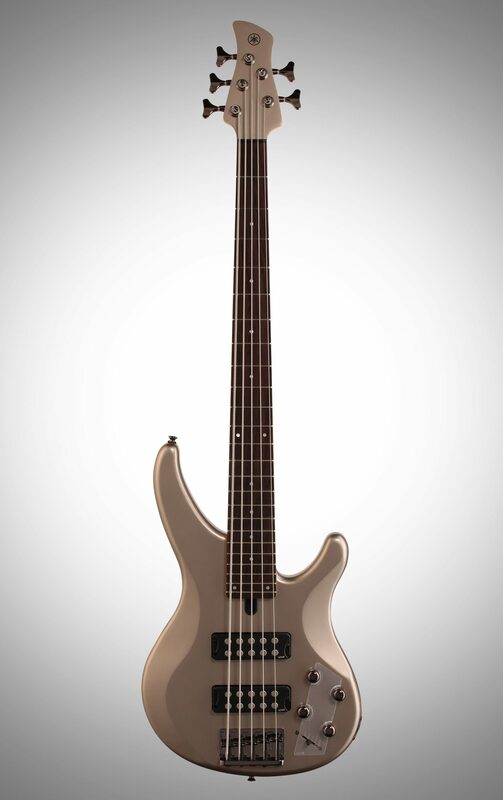 The Yamaha TRBX305 electric bass boasts five strings of electrifying tone that traverse different musical genres seamlessly. In addition to bass and treble tone knobs, a 5-setting Performance EQ switch gives you a convenient set of easily accessible modes to explore. A warm and well-balanced mahogany body provides loads of low end to your sound, and a five-piece maple/mahogany neck delivers buttery playability, adequate snappiness, with a nice helping of sustain. A MHB3n neck and MHB3b bridge humbucker pairing gives each string the articulation necessary to take advantage of all of this baddie's 24 frets. 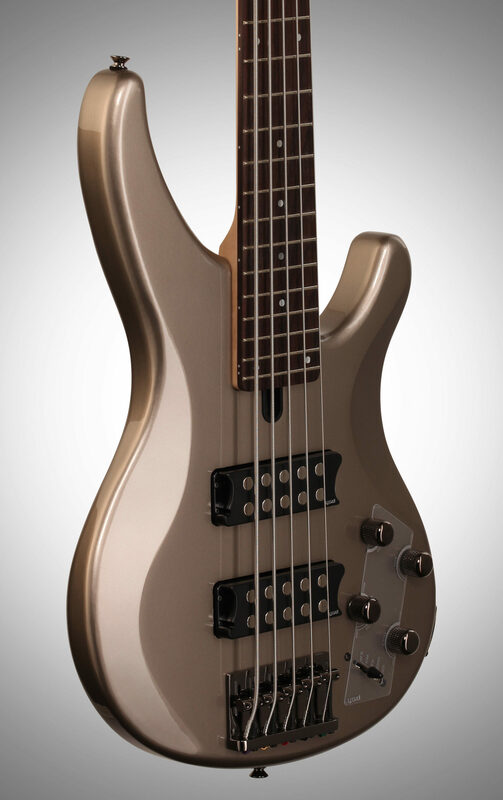 This 5-string bass boasts an intriguing beveled body shape that looks as great as it feels. The curved top edge rests comfortably against the front of your body, which makes playing this beast of a bass a natural and addicting experience. A warm-sounding mahogany body gives your tone plenty of low and middle frequency emphasis, bringing plenty of depth and body to the table for virtually any scenario. 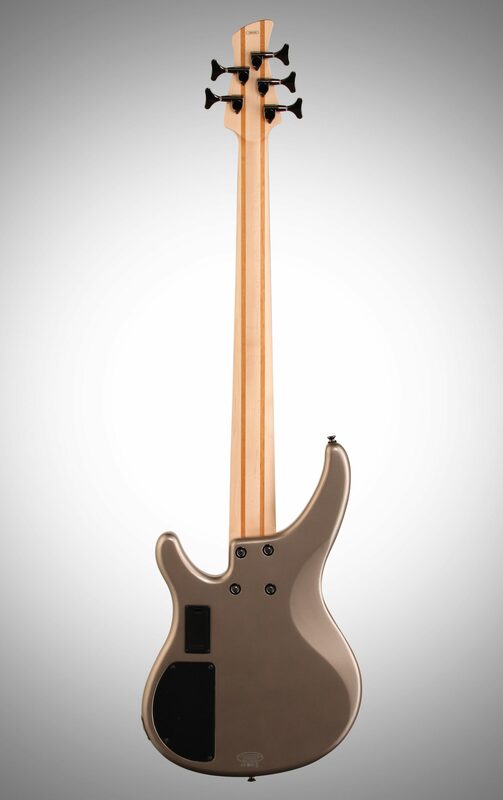 Your hand won't be able to get enough of your Yamaha TRBX305's stable five-piece maple/walnut neck. 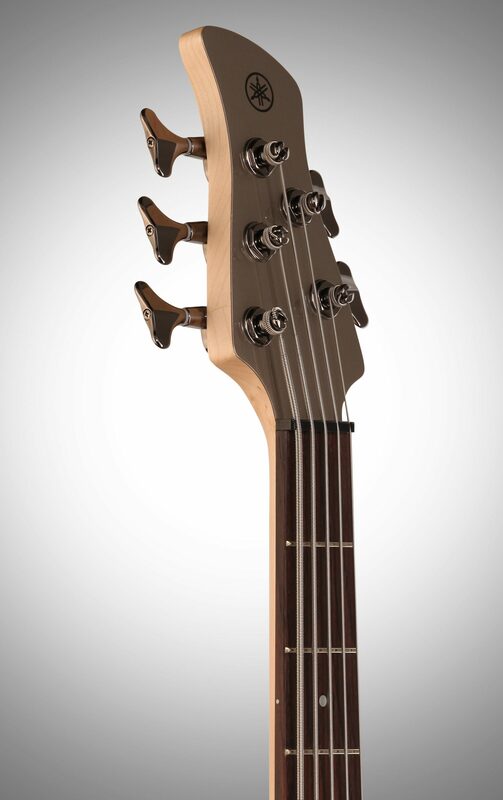 This appendage harnesses with a super-smooth rosewood fingerboard, featuring 24 frets with close action. Maple adds a nice rounded brightness to your sound, and walnut yields a bit more highs and mids in a comfortable spot that's between rosewood and mahogany. 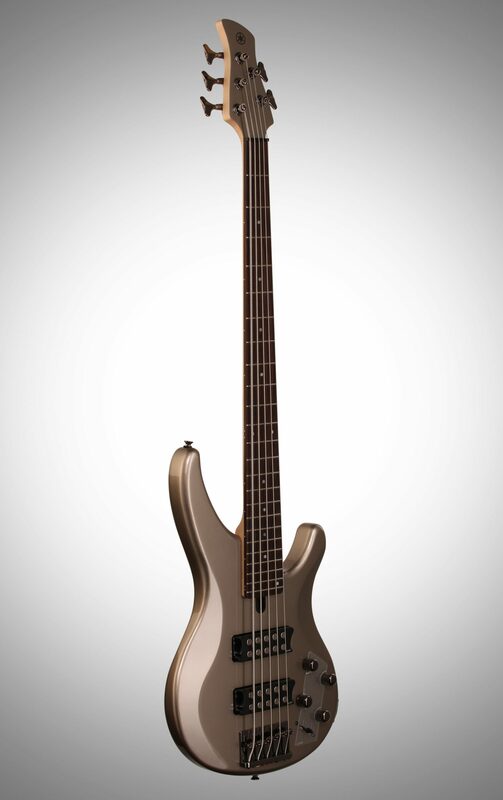 With this bass in hand, your performance will maintain a well-balanced output full of tonal color and dynamic appeal. Having an extra string would go to waste if your bass didn't utilize a pickup set that consistently articulates every single note without interruption. That's why the TRBX comes stacked with Yamaha's M3 humbuckers. Your MHB3n Neck and MHB3b Bridge humbuckers will deliver coherent and reliable output on demand, without any hum, buzz, or unwanted low-end mud. No matter how low or how high your fingers stretch, each note will find its way from the fretboard to your amplifier, ready to fill the room. The controls on your Yamaha TRBX305 give you all of the necessary tools to shape your own personal sonic signature. You have master volume, pickup balancer, bass, and treble controls, as well as a five setting performance EQ switch. Settings featured include solo, finger, flat, pick and slap modes. Yamaha TRBX features a sculpted solid mahogany body, with a mass-optimized 3D design for the optimum balance between tone and comfort coupled with perfect weight distribution. YGD designed M3 pickups feature oversized pole pieces and ceramic magnets for a clear, powerful tone with incredible definition and depth. The hum-cancelling design ensures your performance clean and noise-free while the integral thumb-rest provides unrivalled playability. TRBX300 models feature Yamaha's exclusive Performance EQ active circuit with five performance-tuned full spectrum EQ curves optimized to give instant access to essential sounds along with powerful 2-band master equalization to shape and define your tone. 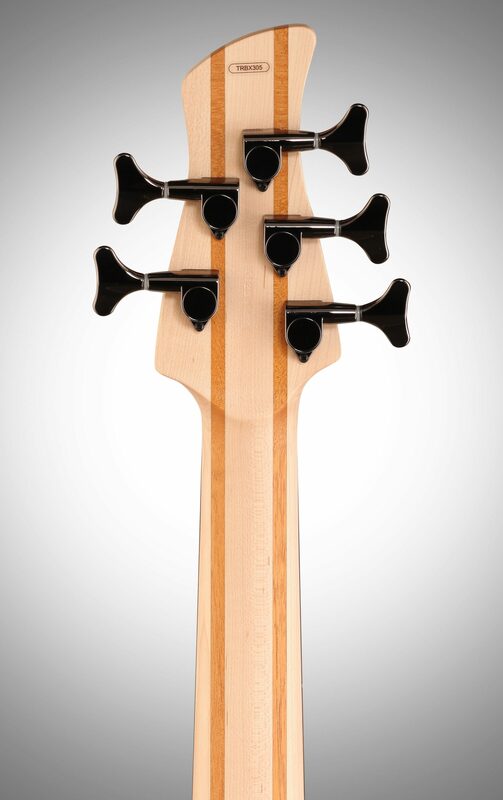 43mm (5-string) nut widths give fast, comfortable playability for any style. Yamaha's metal plate-mounted standard jack socket offers superior durability and easy maintenance. 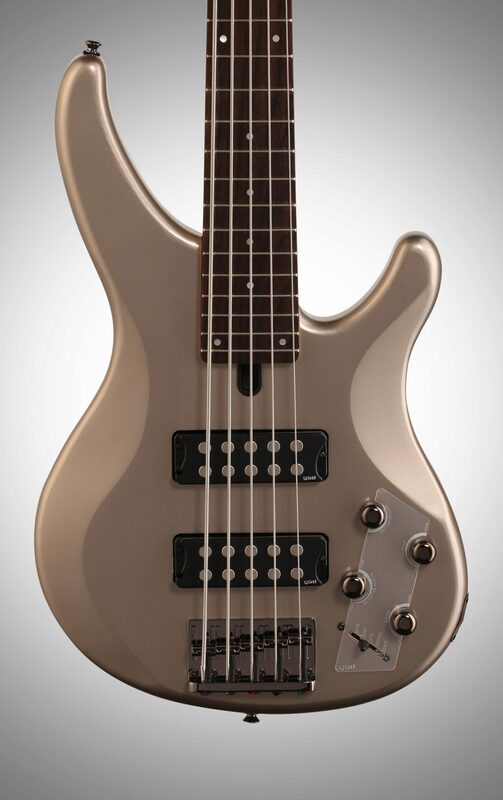 "Great bass for the money"
Overall: I was skeptical about this bass until I played it. The bass needed a little setup, but once setup was done it plays better than some of the expensive basses I've played. 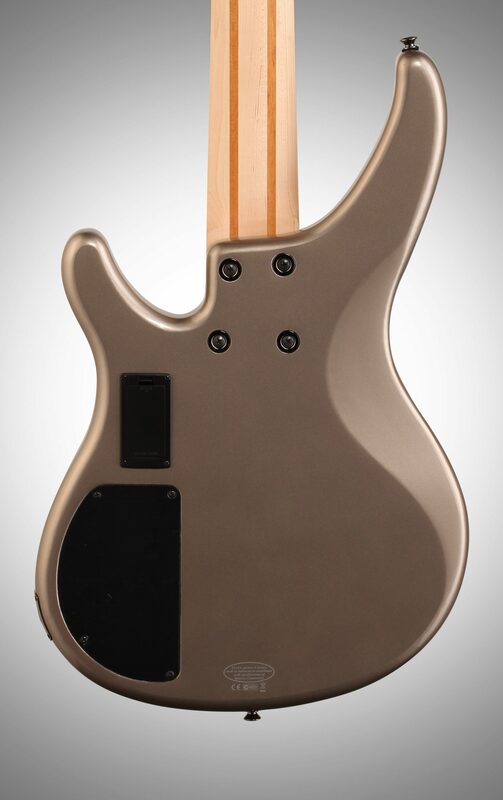 The fact that it is so versatile by flipping a switch, whether you play rock, metal, or whatever the tone and sound is there. Love it and definitely my go to bass. Style of Music: Rock, metal and thrash.